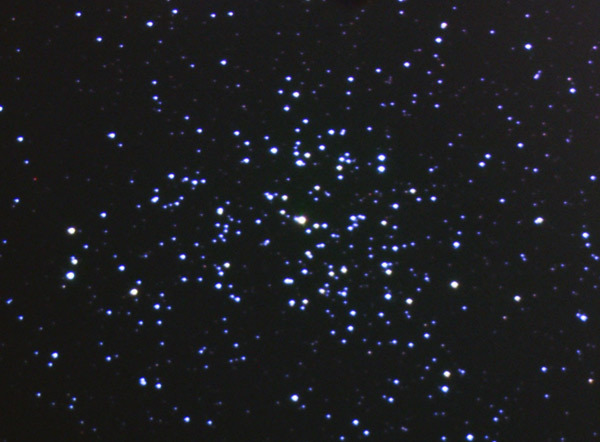 Another open cluster from the same night as M36, the closeby M37 cluster. Total population is said to be around 500 - TeleAuto tells me there are 389 in this image. 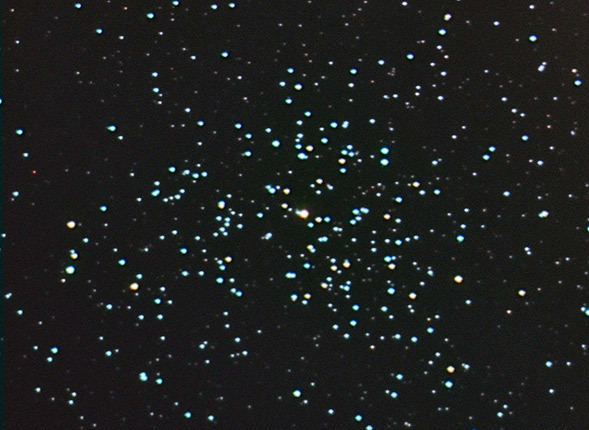 Certainly the richest of the three Auriga clusters (M36, M37, M38), its about 300 million years old, and is about 4000 light years away. Perhaps a wider angle is required to do this cluster justice. All the AVIs were stacked in Registax 3 with darkframe subtracted and "dark pixels" removed with registax 3 Sigma Clipping. The RGB composite was produced in photoshop, and then then multiple L layers, mixing the shorter exposures and longer exposures used to produce the final image. Slight noise reduction in neat image Again, I reprocessed this image from the original effort to improve star colour. The difference between the blue stars the the red supergiants is clear.